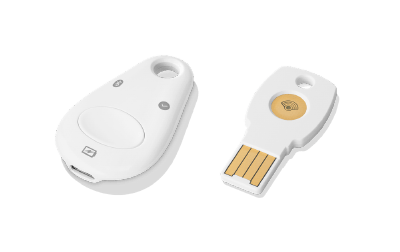 Google already has one security key – Titan. It will cost you $50, it needs to be paired (in case of the Bluetooth version) or connected to a USB port (and needs an adapter in case you only have USB-C ports) and it's just another thing to carry around. I'm pretty sure at least one of those things will discourage the majority of users from using the key. Even the maker of YubiKey authentication dongles wasn't quite happy with the Titan. 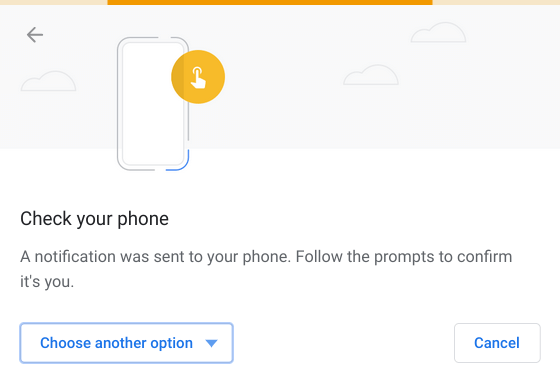 Google also supports Prompts for 2FA: after signing in with your username and password you'll be prompted to confirm that it's really you signing in. You have to have an Internet-connected Android phone or an iOS device with a proper app installed. It works wonderfully but your phone needs to be connected to the Internet (and it works just for Google). The Android built-in security key works in a similar fashion but doesn't even need the Internet. 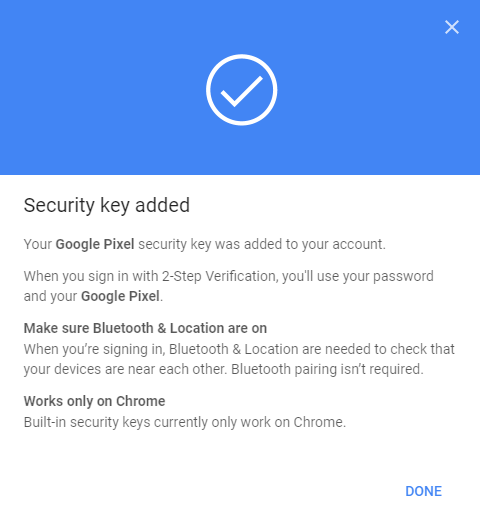 Google has yet to disclose any technical details but the whole thing works even if I tell my browser to stop using Web Authentication API via Bluetooth security keys. Maybe it uses the U2F API (based on the FIDO U2F API)? 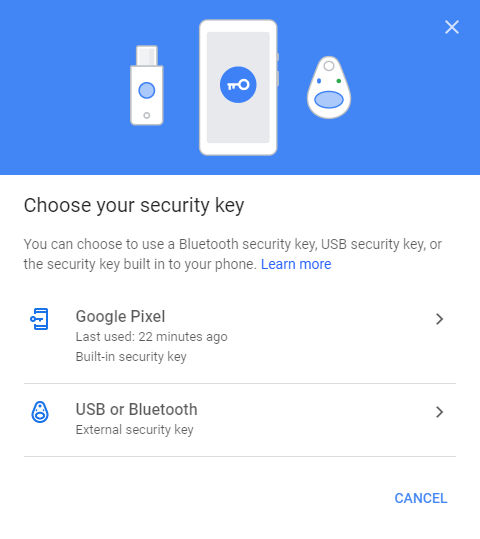 Seems so, FIDO is also mentioned in the page listing Google's security keys and Android 7+ is FIDO2 Certified since February. Hopefully, the mobile security key is standards-based and will be available for other services, systems and apps. I really like that the industry is moving on and we're not stuck on entering digits that change every 30 seconds. The easier it is for people the more they'll be using it. And then of course, the threat of account takeovers will be much lower. Security keys are much more secure than a traditional SMS or copying codes as you can't enter them into a different page, they're phishing-resistant. 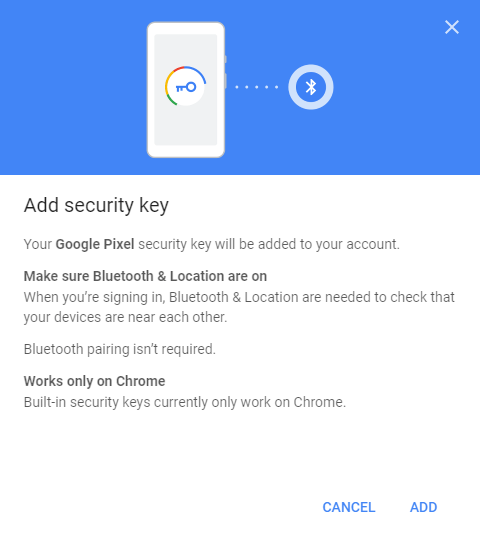 If you want to set up the built-in security key you can follow Google's help or just look at my screenshots below. Select “Yes” and voilà, you're logged in. 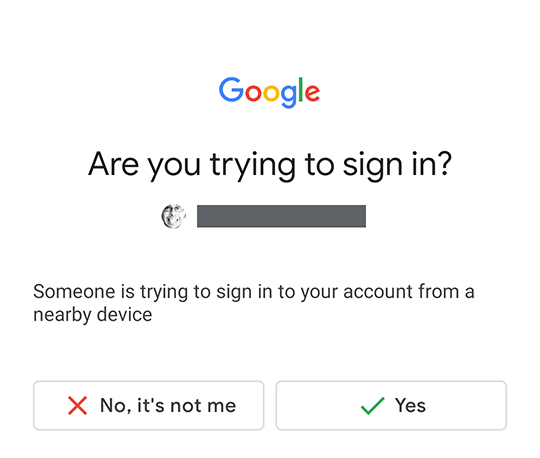 If you're signing in from a new device you'll probably see another prompt asking you to confirm the new device. Recently used devices page lists your known devices and you can remove the ones you don't use anymore. I'd recommend to check the list from time to time. If your phone doesn't display the confirmation prompt for whatever reason, you can use an alternative second step which you've set up earlier. I can't recommend setting up two-factor authentication (2FA, 2SV, the differences are irrelevant here) enough, even if you use a password manager (you do, right?) – like an extra layer of security. This built-in security key is a nice and highly usable option for anybody using Android 7 or newer, and I hope we'll see something similar elsewhere too. Google says you need Windows 10, Chrome OS or macOS X but I could get the “Check your phone” window on Ubuntu 18.04 as well. The phone didn't display the confirmation though but that might be due to the Ubuntu running in a virtual machine. Also set up some alternative second steps in case your phone says bye. And don't forget to set this (or some other usable login confirmation option) up in your company, right after you give everyone a password manager.